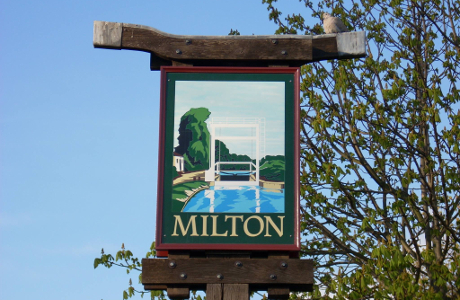 Welcome to the community web site for the village of Milton in Cambridgeshire. Bringing together long established village resources like Milton News and milton-chat and the village directory, newer introductions like the village diary, and new features like the ability to register online for access to a variety of services our web site aims to bring the village of Milton together and provide it with everything it needs online. We welcome your input and you will find a link at the bottom of every page which you can use to let us know what you think of the site and how we could improve it. The next meeting of your Parish Council is to be held at 7.30pm on Monday 4th March. Members of the public and press are cordially invited to attend. The Parish Council will be discussing the recent survey on whether to change the requirement for cyclists to dismount on the bridge over the A10. The Waterbeach and Milton Labour group will be holding a collection for local food banks on Saturday 2nd March. Volunteers will be outside the One Stop on the High Street from 11am until 1pm . All donations welcome. The Milton Environment Group will be holding their regular litter pick (held on the last Sunday of half term) on 24th Feb from 2pm. Meet at the Parish Council Office on Coles Road.